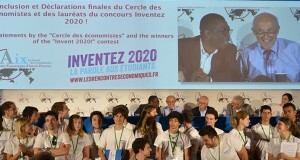 The competition « La Parole aux étudiants » offers 100 students selected on the basis of their essays on their visions of the future to participate in “Les Rencontres économiques d’Aix-en-Provence”. The three-day event thus allows an original discussion between representatives of the new generation and today’s policy makers. This year, for its second edition, “La Parole aux étudiants” the topic was “Invest in the Future”. 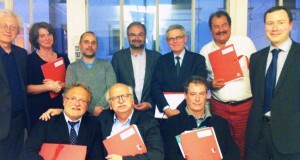 “Les Rencontres “ will begin with four students’ sessions. The winners will then receive their awards. The 2013 edition: "Invent 2020"